A health advisory has been issued by Escambia County for parts of Pensacola Beach and Fort Pickens, CNN's Rich Phillips reported. 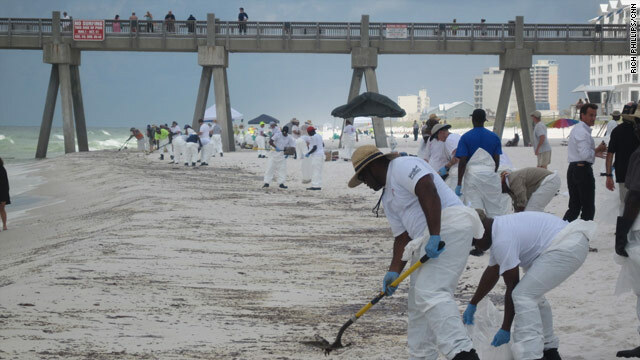 Small to moderate-size tar balls continue to wash up on some beaches of south Walton County, but the impact has been isolated, and all 15 beach communities remain open, according to the Walton County Tourist Development Council's website. On Santa Rosa Island, crews cleaned up when light mousse -- a frothy oil-water mixture -- made landfall. Significant tar balls washed ashore near Opal Beach.